A Scottish business support group yesterday published an action plan urging the energy industry to invest in youth and target more women. It is aimed at making sure the sector, which is in the grip of job and spending cuts after a plunge in oil prices, is ready to grasp new opportunities when they arise. Training and business group Skills Development Scotland (SDS) is asking companies to take a long-term view of employment in its latest skills investment plan (SIP), which strives to build on an earlier version produced in 2011. SIP calls for companies to attract female trainees by bringing in more flexible working practices, and for schools to focus more on promoting science, technology, engineering, and mathematics. It also makes the case for the creation of more work experience and apprenticeship opportunities, and for more attention to be given to the professional development of workers. Work, Skills and Training Secretary Roseanna Cunningham said the sector played a vital part in Scotland’s economic growth and needed to get away from its perceived “boy’s club” image. 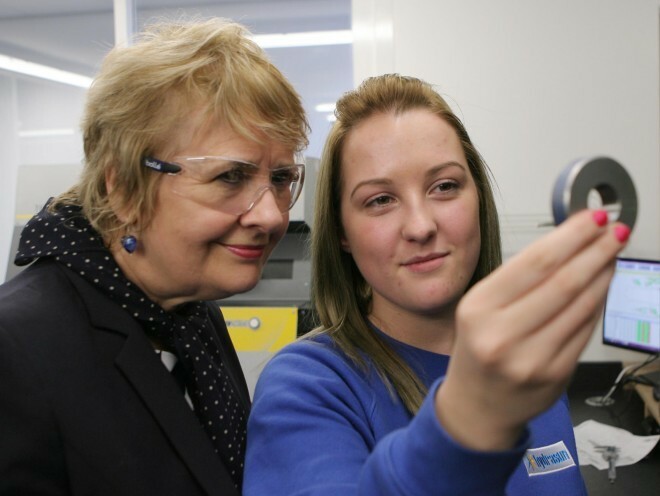 She was speaking at energy sector supplier Hydrasun’s facility in Aviemore, which recently benefited from a £3million investment and, according to SDS, has a “long track record” of investing in skills and workforce development. Ms Cunningham said: “Today’s report has been backed by industry, education and enterprise and pulls together a range of actions to ensure we can plan for a prosperous future.